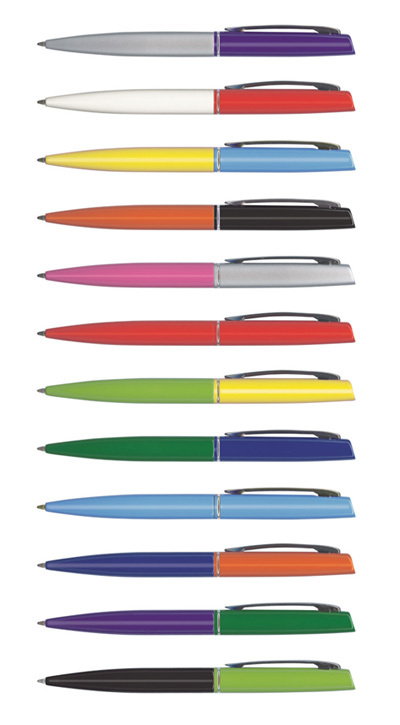 Features: Twist action aluminium ball pen. Available in 144 colour combinations. Refill Type: Black ink cross style refill with 1500 metres of writing ink. Blue ink is available for an extra charge.